Following closely on the heels of the Exodus story, the book of Joshua recounts the mighty acts of God as he fulfills his promises to Abraham, Isaac, and Jacob. It is, quite profoundly, a testimony to God’s awesome power and enduring faithfulness. Written to aid pastors in their preaching and churches in their reading, this accessible commentary guides us through the history of Joshua’s leadership in Israel and God’s direction of his covenant people to their promised “rest” in the land of Canaan. 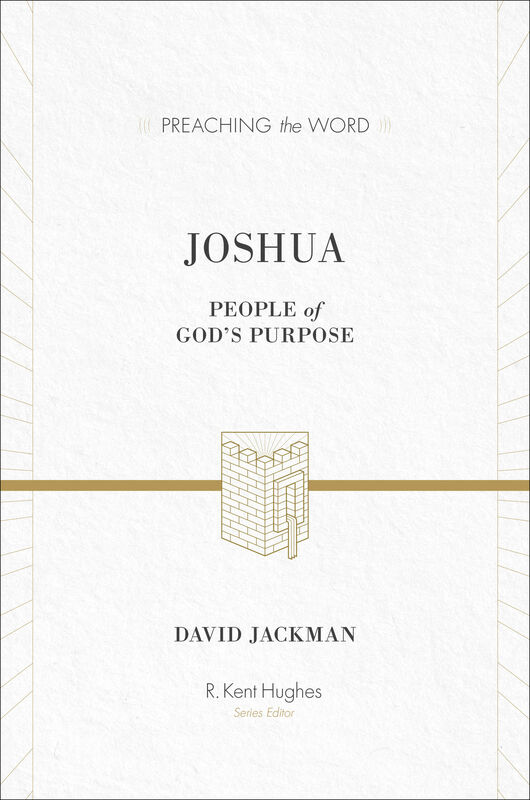 With warmth and wisdom, David Jackman ultimately encourages us to trust God’s promises more deeply and obey his commands more wholeheartedly—that we might fully enjoy all the blessings secured for us in and through our Joshua—Jesus Christ. David Jackman (MA, Cambridge University) is a renowned Christian speaker and author. In addition to serving as a visiting lecturer at London’s Oak Hill Theological College, he is also a former president of The Proclamation Trust, a ministry dedicated to encouraging and equipping Bible teachers around the world.